The homes of the Luri in Iraq are located in the Zagros Mountains, which are situated in the eastern portion of the country. Many people believe that the Luri were the original inhabitants of southwestern Iran. Others suggest that they immigrated there from Syria during the seventh century A.D. Most of the Luri are nomadic shepherds, traveling with their flocks from place to place. However, the more settled Luri prefer farming. The Luri speak a language, also called Luri, that is very similar to modern Persian, or Farsi. Since the Luri men regularly have contacts outside their own communities, they are generally bilingual. The women, however, usually only speak Luri. The Luri are nearly all Muslim. Most of them have never once heard the Gospel. Who will share the Truth with these precious people? Like most other shepherds of the Zagros, the Luri live as nomads, traveling six to eight months out of the year and living in black goat-hair tents. They only live in permanent dwellings for a few months during the winter. From October to April they live in low-lying pastures; but in the dry season, they move their flocks to high mountain pastures. The Luri believe that a shepherd's success is determined by his personal qualities and good luck. Luri society is dominated by those possessing the largest herds and the most money. This upper class hires members of the lower class to tend to their flocks. Most of the Luri belong to the lower class of society. They depend on the upper class for jobs and economic support. Shepherds of small herds are often forced to hire out their sons to the large herd owners so that they might earn a sufficient income. The more settled Luri prefer farming over shepherding. They live in permanent villages all year round, as opposed to moving from place to place. Wheat and barley are their principal crops. The Luri are divided into political units called tribes, or "il." Each tribe consists of several distinct sub-tribes. Each sub-tribe, or "oulad," is made up of several families that have a common ancestor. The sub-tribes are divided into small villages of three to eight "tent households." The tent household includes a husband, wife, and children, along with their flock of sheep or goats. Each tribe is headed by a hereditary chief, or khan, who is recruited by one of the sub-tribes. A yearly tax on grains and animals provides financial support for the khan. The Luri are known for their rich folklore. Their tales glorify the history of each tribal group and describe the adventures of their heroes. They also emphasize such characteristics as honor, loyalty, generosity, and, most importantly, bravery in battle. The Luri are practicing Shi'a Muslims. However, unlike many of the Shi'a who tend to be entirely dogmatic in their beliefs, the Luri have adopted a very practical belief system with simple religious practices. Shrines dedicated to holy men (founders of various Islamic groups) are scattered throughout the region. Because these shrines are believed to posses healing powers, people with physical and psychological ailments visit them each year in hopes of being cured. Some evangelistic materials are available in their native language. There are only a few known Luri Christians. One hindrance in reaching the Luri with the Gospel is the fact that they are a nomadic people who travel from place to place. Since they never remain in one place for very long, it will be extremely difficult for missionaries to reach them. The Luri have had very little chance of hearing the Gospel of Jesus Christ. * Scripture Prayers for the Luri, Northern in Iraq. * Pray that laws in Iraq which restrict the preaching of the Gospel will be changed. * Ask the Lord to call people who are willing to go to Iraq and share Christ with the Luri. * Pray that God will raise up laborers who understand the Muslim culture and who can effectively take the Gospel to them. * Ask God to encourage the few known Luri believers. * Ask the Holy Spirit to soften the hearts of the Luri Muslims towards Christians so that they will be receptive to the Gospel. 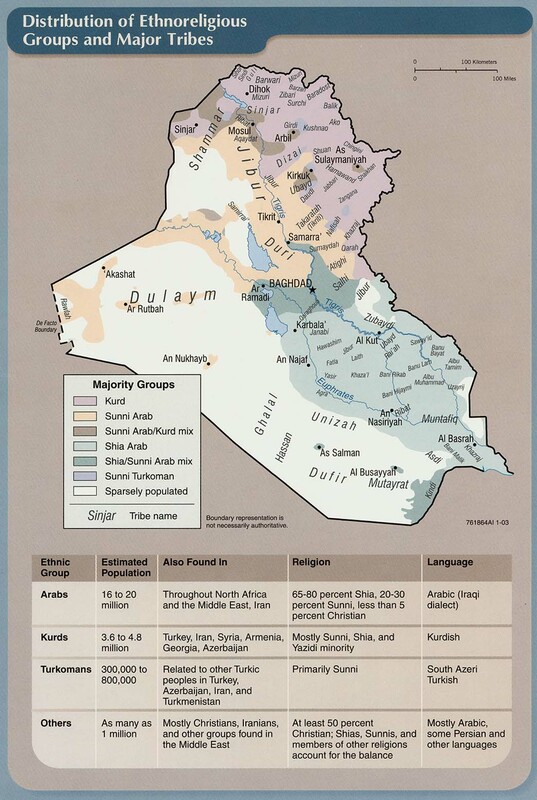 * Pray that God will open the hearts of Iraq's governmental leaders to the Gospel. * Ask the Lord to raise up a strong local church among the Luri.